I am so excited to be bringing you a big empties post today because I'm sharing so many of my favorite products in this one! If you don't know what this is, I'm basically going through all of my beauty/candles trash & letting you know what I think of each of them. I hope y'all enjoy this post & find a product you want to try as well! Some of the links below are affiliate links-thanks for supporting brands & that support Southern & Style! Y'all, this is such a good candle & the good news for y'all is that it's in B&BW stores right now! It's a sweet, light scent that tends to smell more like a mimosa than just regular champagne to me-but that's a good thing in my opinion! If you want Fall in a candle, this is the one for you. I picked this one up from Kohl's (so check there for great deals on these candles!) and it smells like a creamy mix of pumpkin & spice. It was a small size, but it lasted forever & burned very cleanly! Y'all, this is the closest candle that I've ever smelled to the real food item. It's sweet and you can totally get the "bakery" note of the doughnut. Out of these four candles, this is probably the only one that I wouldn't repurchase. It's a very sweet, strong candle that smells just like butter and sugar, but the scent is so overpowering to me so I don't think I could burn it again. Y'all know that I'm a huge fan of Billion Dollar Brows products, to me they're great quality for a great value! While the Universal Brow Pencil is my favorite, I wanted to use up the Brows on Point pencils they sent & taupe is a great color for me. If you like a thin brow pencils, then get your hands on this one! 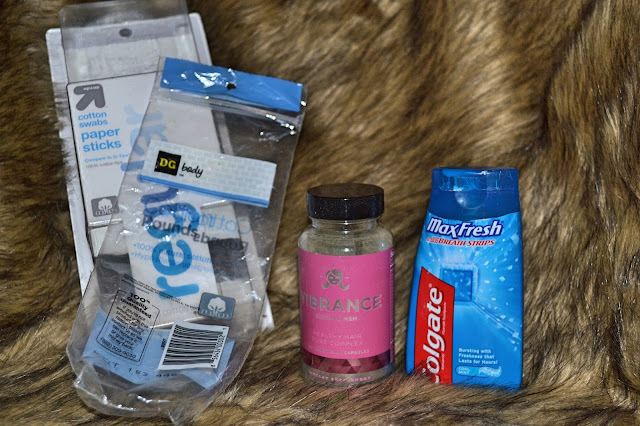 I was sent this sample in an Influenster box, and although it was only once use-it was a great sample! I have a whole bottle of this at my sink that I love to use on lighter makeup days. It's gentle on your skin & really cleanses it deeply. I bought this before I knew highlighters were a trendy thing, so it's definitely not champagne pop or anything like that. It's a subtle highlighter, so it's nice for everyday, but I don't think I'll buy it again. The packaging was cheap and broke within having it for a week or two & it's pretty costly for a drugstore product. I thought I wasn't picky about mascara until I started trying out a lot of different brands, I have really learned to appreciate a good mascara wand. This mascara has a really good brand with uniform bristles, which helps me to get an even coat on all of my lashes. Unfortunately it does tend to get under my eyes by the end of the day, so I don't know if I'll pick it up again. Maybe they'll adjust the formula but keep the wand! I was sent these in an Influenster box and I'm still not a huge fan of these, even though I'm a huge fan of the cleansing water. They tend to drag on my skin and they just don't seem to have enough product within them. I don't use facial wipes as my main method of taking off my makeup, but to clean up after I wash my face-this needed another step to finish taking off any leftover makeup. I don't recommend these at all. These are my holy-grail in makeup remover. Even though I don't use them as my only method of taking off makeup, they do a great job at taking off any leftover makeup & being gentle on my skin. I buy these in bulk at Sam's club & always keep them on hand. I love so many things about this conditioner; you can pick it up at Target & it's so inexpensive, it's thick & creamy, it's so moisturizing, & the smell is so, so good. It hydrates your hair & makes it much more manageable. I will be picking up some more Hask products when I run out of my back-up products. Can we just talk for a minute about how I wish B&BW would bring this soap back?! It's such a bright, sweet lemony scent-it smells just like lemon & confectioners sugar. The packaging is beautiful & it lasts so long. This is probably the best smelling Hask product I've ever had & I felt like it worked wonders on my hair. It didn't cause a lot of build-up & is pretty inexpensive! Go to your Target & pick this up, you can thank me later! Once again, another product I'm trying to use up-my huge lotion collection! This one was okay, not very moisturizing & it had a very strong scent. If you love peach, this one is for you-just think of it as a hand lotion instead of a hydrating body lotion. This is officially my last regular deodorant that I had to use up before I transitioned to using just my spray deodorants. I hated this one so much, the deodorant got everywhere & felt like it never completely dried. The scent however was really good & fresh. This is the shave gel that I always go back to; it's easy to find at the drugstore, it's cheap, and the scent is great. It's got a great lather & helps me get a close shave. This was my travel size, I wanted to go on & use it up since I know we aren't going on vacation any time soon, I'll just buy a new one before we go again. These things are SO useful to keep in your bathroom, y'all. From cleaning out your ears to cleaning up mascara and lipstick messes they come in handy on a daily basis. 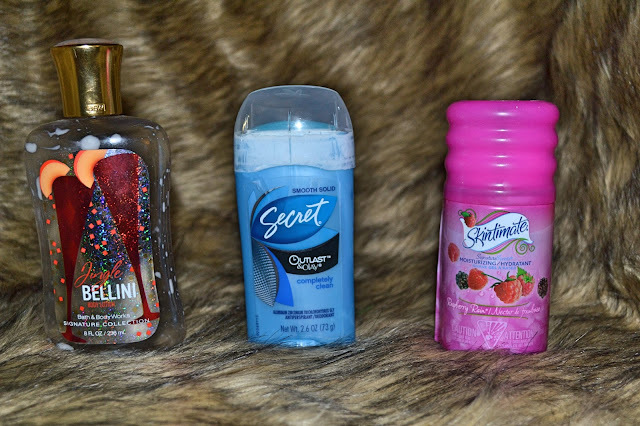 I'm not picky about which ones I buy, name brand or store brand-it matters not to me, as long as I always have some in my bathroom! Once again, this is something else that I never want to be without in my bathroom. These are great for taking off makeup or even taking off nail polish-they have so many uses, so that's why I don't really care about the brand as long as I have them! If you've been reading along for a while, you know that I'm a big believer in taking your daily vitamins-I always take mine every single day! This particular vitamin was supposed to boost your skin, hair, and nails. I do think taking biotin helps my hair and nails grow-but I don't think this one is much more special than the Target brand Biotin vitamins you can get. You've seen this many times on my Empties posts & unless my dentist bans me from it or they stop selling it, I'll keep using it! I love the gel texture and the cool mint flavoring. When it's cold outside & you're a teacher, you can basically expect to get sick. I didn't want to keep all of the boxes I went through-but I did want to show you my favorite brand of tissues! The Puffs Plus Lotion keep my nose from getting too raw & irritated, it's really soft! I got this in a Target Beauty Box & unfortunately I wasn't impressed with it. I really do like the minimalistic packaging, but the scent seemed weird & it was really thin to be considered a body butter. Unfortunately y'all, this one is gone & isn't even on Amazon anymore! It's a warm, manly scent though so I would recommend trying out Chestnut & Clove as they seem to share a lot of the same notes. And Bath & Body Works-if you're reading this, bring back Tail Gate! I'm on a mission to use up all of my lotions & potions, I managed to use this bottle up by keeping it by my bed & slathering it on every night before I go to sleep. This is one of my old favorites, it's a very sweet berry scent. This isn't a very moisturizing lotion, so if you just want this for your hands I recommend it. But if you're looking for something really hydrating, you should just get a body cream from B&BW. I only have one complaint about this product...it just wasn't big enough! 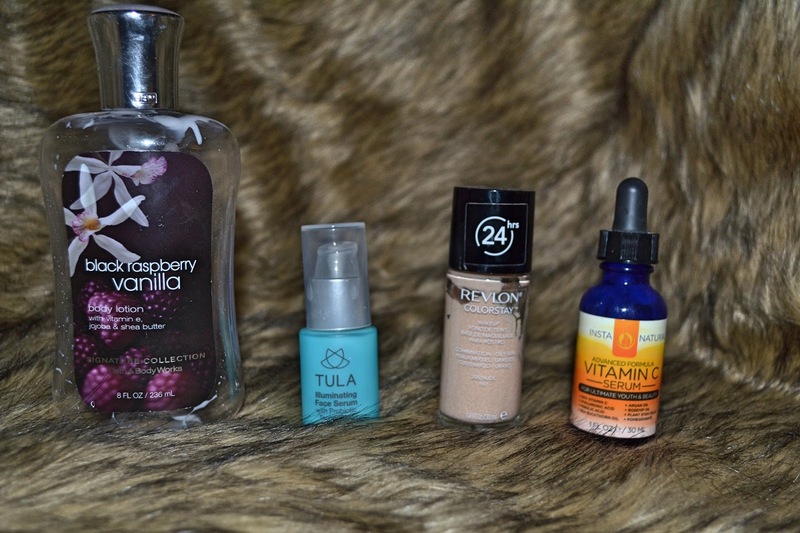 I loved how creamy and rich this serum was, it really hydrated my face & I truly feel as though Tula's probiotic technology does keep your skin well balanced. It's a splurge item as well, but I've said it many times-I think skincare is worth splurging on it! I love, love, love the formula of this foundation so much & I'm so glad they changed the packaging to have a pump! 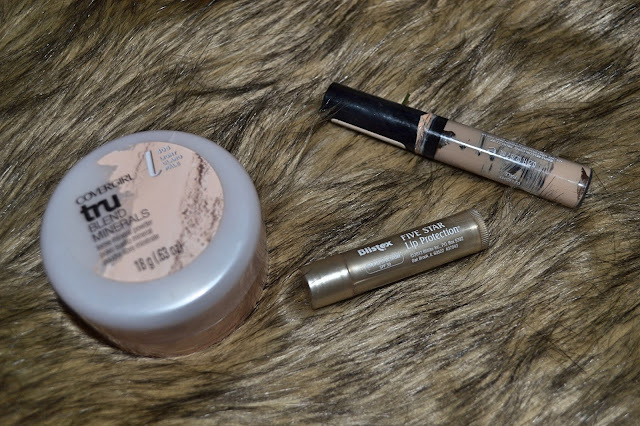 It's such full coverage without looking cakey, which is hard to find in a drugstore foundation. It's pretty expensive (in my opinion) for a drugstore foundation, but it also lasts a really long time. I love serum & this one is really, really nice. The scent is a fresh citrus scent & it soaked into the skin really nicely-I recommend it if you need a hydrating serum that isn't too costly! As far as my makeup, I always have to set my foundation-as a teacher my days are too long to not set it! This is a great drugstore option that sets your makeup without looking cakey-I've already repurchase a Covergirl loose powder, so I highly recommend this one. This is a really, really nice lip product. It has a great smell (lightly vanilla), has an SPF of 30, & is water resistant up to 80 minutes. If you love to spend time outdoors, I would pick this up! It would make a great stocking stuffer for any person (guy or girl) in your life! I used this foundation as well & while it was good, it wasn't the best concealer I've tried. It does have good coverage & is brightening, but it tended to crease under my eyes & I just hate how that looks. If you read my last post about products I recommend for taking care of yourself during the Christmas season then you'll recognize the Exuviance product. I've ben using this for a couple of weeks now & it's totally changed my skin texture-I'm obsessed. It's pricey, but totally worth it. I suggest investing in your skincare! I received these from Influenster & actually really enjoyed the reverse wash (conditioner first, then shampoo). I would consider purchasing these when I finally make it through all of my back-up's of conditioner & shampoos! I've said it before & I'll say it again, I really like this cleanser. I have too many cleansers to get through right now, but I want to buy it in the future. Well, what do y'all think? Do you like any of these same products? Am I missing out on something great that I need to be using? This a great product review roundup! 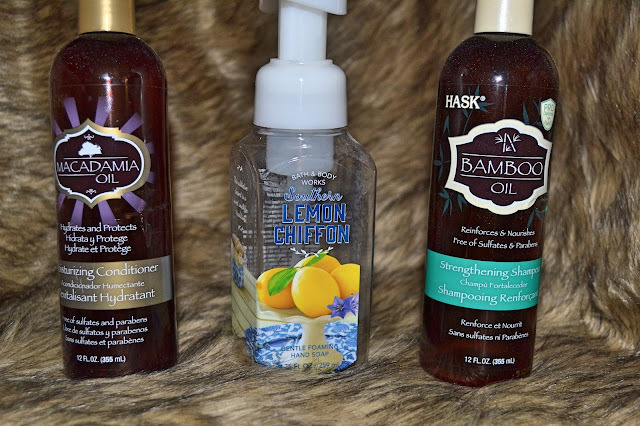 I loved the Hask Bamboo shampoo. I was afraid to try it at first, but ended up loving it. Happy New Year! This is such a neat post idea! It always feel like such an accomplishment to feel you got your money's worth of product. I didn't think it was possible to finish one of those candles! What a great list! It's a perfect inspiration for me! I really liked the Revlon coloerstay foundation, I should try it soon! I am absolutely obsessed with Bath and Body Works, but I agree that sometimes, their candle scents can be overwhelming. I find that I can't burn one for more than 2-3 hours without getting a headache from the strong smell. The sweet-smelling candles seem to be the worst with that. Nevertheless, I still am obsessed with them! This month, I have been burning Vanilla Snowflake (words cannot express my love for this scent) and Evergreen. oh my gosh so many of these things are on my faves list too! 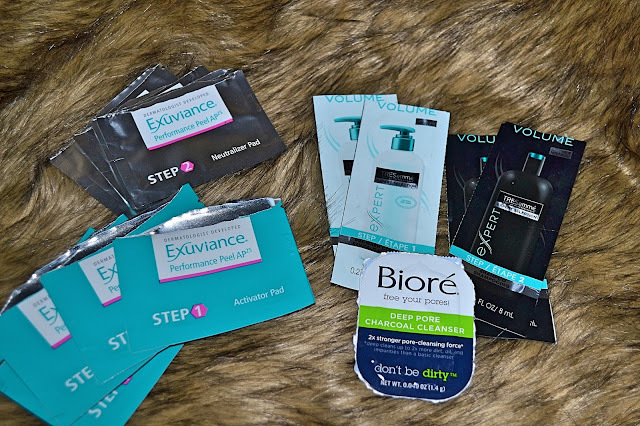 I love Biore products and that Neutrogena cleanser! 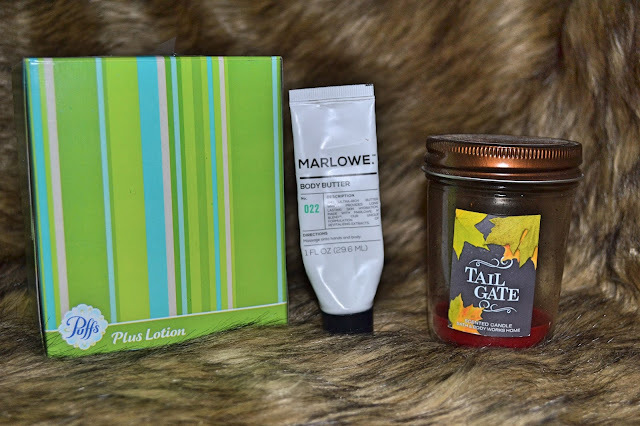 I will have to test out some of your candle suggestions! I keep them burning all the time and go through them pretty quickly but I'm always looking for new scents. I love the simple micellar water too and every product I've ever tried from Hask. I highly recommend checking out the Shiseido cotton pads - I'm obsessed with them! I couldn't agree more those makeup remover wipes are an essential! 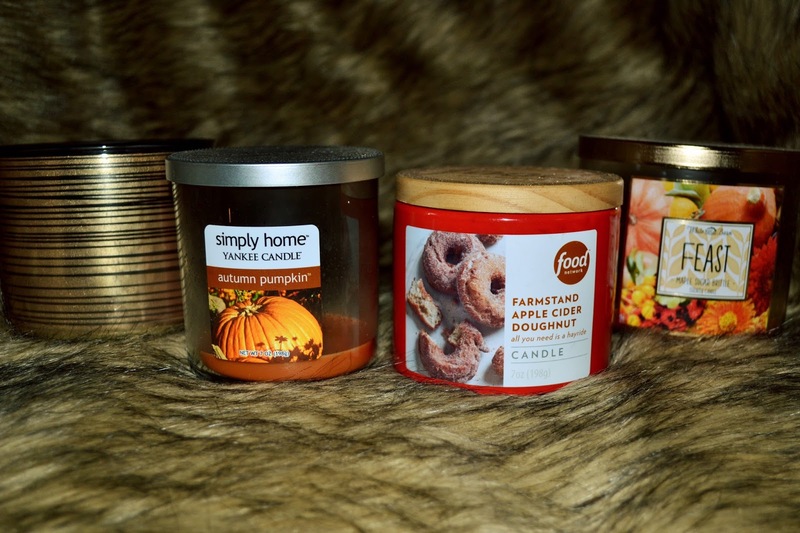 I love all the fall/Winter scents from Yankee Candle! i love candles, they all sound amazing! 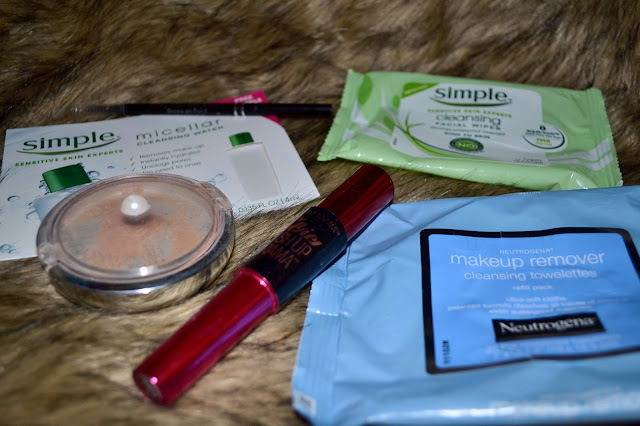 I love those Neutragena makeup wipes! Definitely a must have! Autumn Pumpkin by Yankee Candle is one of my favorites! And this is such a fun idea for a post! Loved reading about the products you have been using all month! Thanks so much for sharing! I use those Neutrogena wipes too, they are great for getting off all my makeup at the end of the day. I got the champagne toast one from my fiance's aunt and I'm so excited about it! These all look so great,I'm adding some to my list of things to try. Great post! 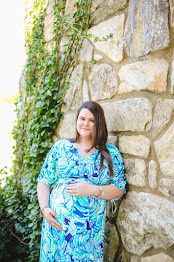 I definitely have to check that Revlon foundation out, and I love the Neutrogena wipes! I am totally in love/obsessed with the champagne toast candle!!! Happy New Year! What a creative way to showcase your items. After you've used them, LOVE IT! I have been using HASK products lately and love them! Need to try some of these products out for myself! Candles are a weakness- I picked up so many at their candle sale last month :P So sad the PF Mineral Pearls highlighter didn't work out for you- I love that one. Their Shimmer Strips All-in-1 is currently my go-to highlighter right now, so pretty! I have been going through candles so fast lately I can't believe it! Empties posts always amaze me because I don't think I've ever finished a product before haha those candles sound pretty amazing though! What a cute idea for a blog post! I've definitely emptied quite a few of the same products! 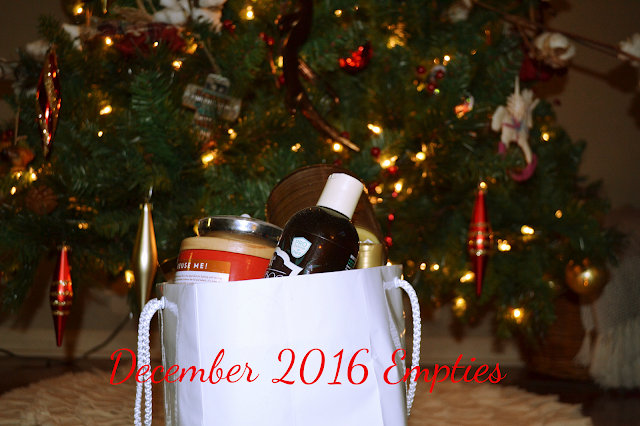 Looks like you had quite a busy time with new products in 2016! :) Exciting! I've always loved the Bath and Body Works Black Raspberry Vanilla scent...just smells amazing!